Churches have birthdays too. We’re praising and thanking GOD for our miracle in the Middle East. One more year and we’re still here and growing. That’s something to celebrate. Our Church and work in Iraq and the Middle East is totally dependent upon your monthly support. The economic situation in Kurdistan is currently very bleak because of the ongoing conflict with ISIS in Iraq and the Syrian civil war. This conflict has destabilized the whole of the Middle East. We now have several million IDPs and Syrian refugees who’ve fled to northern Iraq (Kurdistan) for safety. Before this current conflict the economy of Kurdistan was thriving. Out of the Iraq war it was the economic success story within the country because of its security and stability. All that has changed with the incursion of the so called Islamic State and their particularly virulent terror tactics. Just across the Kurdistan border within miles of our cities is what appears to be an unstoppable conquering force equipped with state of the art American military hardware captured from the Iraqi Army. The Kurdish forces have held them back from the border but at a great cost in terms of lives lost. Fear and a lack of American response has caused a mass exodus from Kurdistan as those with the means to escape have fled to Europe, America or any other place offering safe haven. They’ve taken their resources with them. The investors who came in early on have also backed off and withdrawn. These things have devastated the economy. Our local Bank manager told me that there is literally no cash flow on the streets. 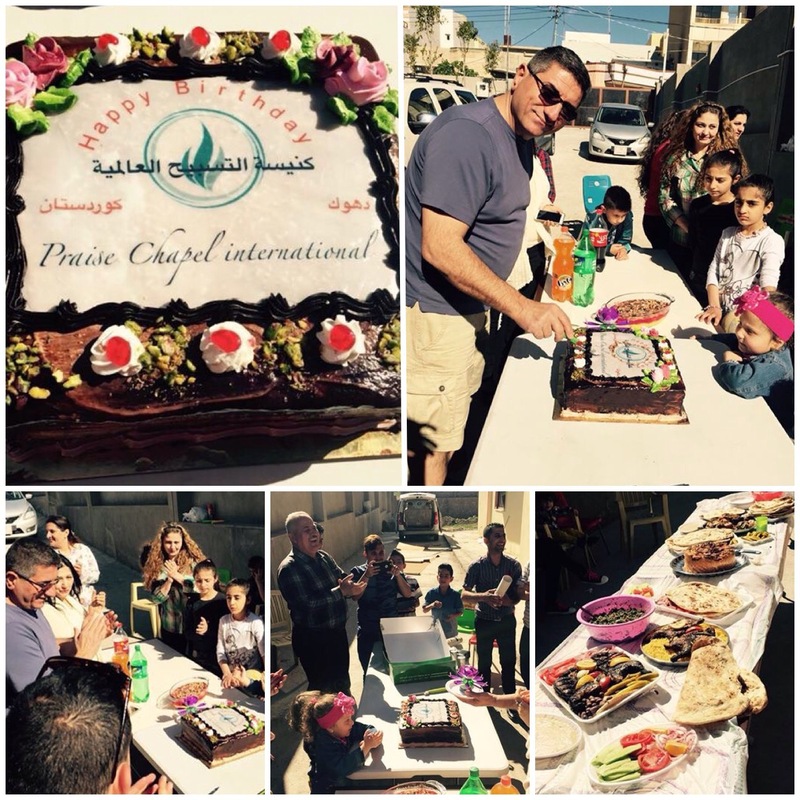 Our goal is a self supporting Church in Iraq but that’s simply not possible at this time. Our brethren are fighting to survive right now and are dependent upon our help. Simply put, We can’t sustain the work or momentum without you. Our ministry lives month to month by faith on whatever comes in from folks just like you. THE PROBLEMS WE FACE ARE CENTER STAGE WORLD PROBLEMS and we’re dead center in the middle of it. Enthusiasm for our work tends to wax and wane with current News reportage but for those over here it remains an ever present reality. The forces against us are funded by some of the most powerful economic nations in the Middle East. At any given time we’re funded by a handful of faithful people and a few church congregations. We have no large Missions program or organization backing us. IF YOU’D LIKE TO MAKE A REAL DIFFERENCE IN SOMETHING THAT REALLY MATTERS, PLEASE, PRAYERFULLY CONSIDER BECOMING A SUSTAINING MEMBER OF OUR MINISTRY TEAM ON A MONTHLY BASIS. We have a track record for getting the job done – Put the resources into our hands and we’ll get the job done.